Ocean Technical Services (OTS) is an officially recognized surveyor of commercial vessels such as cargo and tank ships, naval vessels, offshore supply vessels (OSVs), tugs, barges, dredges, and passenger and fishing vessels. Joe Lombardi and his team have professional knowledge of steel, aluminum, fiberglass and wood construction. As a US Coast Guard licensed master and first class pilot of unlimited tonnage, Joe has firsthand experience with the operation, equipment and missions of various commercial vessels. OTS specializes in overseeing dry docking repairs and modifications. This is the most comprehensive type of inspection, and is strongly advised when purchasing a new or used vessel. Condition and the overall operation of the vessel will be examined. This includes such items as structural integrity, out-of-water inspection, sea trial, electrical, systems, propulsion system, fuel system, machinery, navigation, miscellaneous on-board systems, cosmetic appearance, electronics, and overall maintenance. A ‘Recommendations’ column, current market and replacement valuations are included within the textual survey report format. This inspection is performed so that the insurance and/or finance institution can determine the fair market value or whether or not the vessel is an acceptable risk. They are interested in structural integrity and safety for its intended use. A ‘Recommendations’ column, current market and replacement valuations are included within the textual survey report format. This type survey is performed to ensure proper towing jewelry and tug(s) that will be utilized for the tow of the barge or vessel in question. This survey addresses the items needing attention by the owner to properly prepare his vessel to be towed such as trim, ballast options, tow bridles make-ups, assurances of deck hardware condition, stability, and securing of gear below. This type of survey is usually called for by the insurance underwriter and/or the U.S. Coast Guard on specific type tows and is paid for by the owner of the towed vessel. 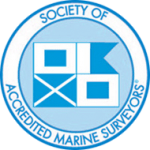 Our criteria for this type of survey is the conservative U.S. Navy Towing Manual and OTS’s experience as towing vessel operators. This type of survey outlines the itinerary, type of vessel towed, towing vessel, towing equipment and equipment coefficients, weather restrictions, insurance requirements and coverage, party contact information and amounts of oil and/or hazardous materials aboard. This type of survey is performed for either the owner or party wishing to lease a commercial vessel or barge. This survey is comprehensive inspection of the current condition of the vessel at the time of survey. This inspection is performed to gather enough information to justify or determine the fair market value of the vessel. This is normally needed for financing, estate settlements, donations, and legal cases. We often perform appraisals to assist in settling estates, divorces, bankruptcies, and to determine collateral values for lending institutions. Also, some vessel owners have found it advantageous from a tax standpoint to donate their boats to the many non-profit organizations that accept such contributions; our reports hold up to IRS scrutiny. This inspection or claim-type survey is performed to assess the extent of damage, recommend repairs, estimate repair costs, and if requested, the probable cause. OTS assists owners, underwriters and their claims handlers in all aspects of the marine claim, including initial and interim reports as necessary, project management, verification of ownership, repair order and invoice reviews, theft and fraud investigation, and litigation assistance. This inspection is performed to access the extent of protection afforded to your through-hulls and underwater machinery to prevent electrolysis. In addition, it can find the source of stray current corrosion, whether the source is your vessel, the one in the slip next to yours, or the shore power at the dock. Recommendations are then made on methods to combat or ameliorate the causes of galvanic corrosion. OTS conducts non-destructive ultrasonic testing of shell plating (steel or aluminum) to American Society of Non-destructive Testers (ASNT) standards. This type of survey is performed to determine shell plate thickness on steel and aluminum vessels. We utilize state-of-the-art KRAUTKRAMER-BRANSON A-Scan Technology for our inspections. The meter utilized is a non-destructive type, meaning that bottom and topside paint do NOT need to be ground away prior to taking a reading. Engine, Transmission, and Generator inspections are performed utilizing the latest marine technology, including: Infrared Temperature Gauges, Digital Tachometers, Stethoscopes, and Compression gauges, among other Diagnostic equipment, as required. Oil Spectrometer Analysis is performed on engines, generators, and gears to identify abnormal internal engine/gear metal wear, cooling system leaks, failed gaskets, failed seals/o-rings, cracked engine/gear components, carburetion/fuel injection problems, past overheating, faulty air induction systems, heat exchanger failure, and viscosity breakdown, etc. Officially recognized to carry out surveys of commercial vessels such as cargo and tank ships, naval vessels, offshore supply vessels (OSV’s), tugs, barges, dredges, passenger and fishing vessels. On-Hire and Off-Hire surveys of barges. Professional knowledge of steel, aluminum, fiberglass and wood construction. First-hand experience with the operation, equipment and missions of commercial vessels. On-site experience with dry docking and shipyard work on commercial vessels. Overseeing of vessel dry docking for repairs or modification a specialty. Please call anytime to discuss your particular needs. We welcome the opportunity to handle your marine survey in a professional, expeditious, and cost-effective manner.